2nd Season - According to her parents, since the day Alex could talk, she has had a passion for nonhuman animals, with a particular interest in marine mammals and anything else that calls the ocean home. She was born and raised in New York State and just graduated from Canisius College in Buffalo. There, she majored in both Animal Behavior, Ecology, & Conservation and in Biology, with a minor in Anthrozoology. In her time there, she was heavily involved in a beluga whale research team, as well as Canisius Ambassadors for Conservation, a group dedicated to educating the public in order to instill a love of nature and respect for wildlife. 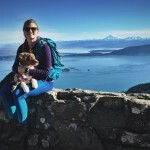 She has also been lucky enough to partake in a number of ecology- and wildlife-focused educational travel opportunities including a trip to San Juan Island in 2014 and she’s been waiting to come back ever since. In her free time, Alex enjoys playing with dogs, and birding, and can't get enough of the water. Most of all, she can’t wait to get out on the boat and inspire the public to love wildlife as much as she does. 6th Season - Alex “Tandeman” Tande is from Wisconsin for his fifth year with the San Juan Outfitters family. After wintering in Pittsburgh he is ready to return to sunny skies and the perfect waters of the Northwest. 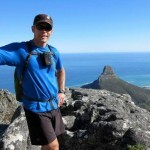 His love for the outdoors is apparent in his constant travelling, backpacking, cycling, running, and adventure photography. Once in a while he can be found relaxing in the hammock with a good book or sitting around a fire with good friends. We are all looking forward to a great summer with him! 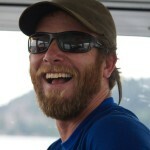 Returning to us since 2005; When he’s not working as a fireman, a remote medical specialist or adventure race organizer, Brent might be found guiding kayak trips or driving our whale watch boat. When not on the water with us, he can also be found skiing, biking, running, or doing any other activity that's human-powered. He is an 'iron man'. 6th Season - Brittany grew up on the shores of beautiful Lake Michigan in Wisconsin. After hopping on a plane to the PNW shortly after college graduation in 2010, Britt made her way to San Juan Island. Since then, Britt has filled many roles at SJO including sea kayak guide, naturalist, and reservation staff member. Now beginning in her 6th season, Britt is responsible for Marketing & Communications.Britt splits her time between San Juan Island and Bellingham, WA. During her days off, you'll find her swimming, hiking, kayaking and snowshoeing on the slopes of Mt. Baker. 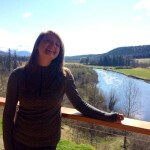 Britt has a passion for all things outdoors and loves her life in the Evergreen State. 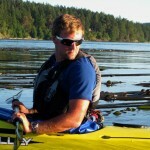 3rd Season - Chris is returning for his second year as a kayak guide. 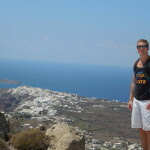 He grew up in Kennewick, WA, and just graduated from Washington State University studying Wildlife Ecology. Some of his favorite activities include hunting, fishing, hiking with his dog Zeus, and anything else that keeps him outdoors and moving. 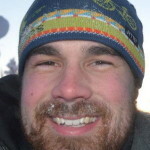 Chris has had the opportunity to work around grizzly bears, bighorn sheep, and mule deer. Also he served as a camp supervisor and counselor for children with special needs. In the future he wants to become a wildlife biologist. 2nd Season - Domenic DiGregorio has an enthusiastic personality and ready for whatever adventure awaits. Being outside and in nature has been Domenic's passion since he was very young, and growing up in Colorado gave him lots of access to the great outdoors. He still loves to play in the woods, watch wildlife, and build forts out of forest materials, but now a days he finds himself high above ground climbing multi-pitch walls, skiing in the back country and fly fishing until dark. Domenic's first guiding experience came from fly fish guiding in Rocky Mountain National Park and it ecstatic to have his first season for San Juan Outfitters! 5th Season – Emily grew up in Eugene, Oregon and is a Pacific Northwesterner and Oregon Duck at heart. From a young age Emily took a keen interest in the ocean world, coercing her parents to take her on many trips to the Oregon coast. Emily continued her love of the ocean at the University of California at Santa Cruz where she earned a B.S. in Marine Biology. From hiking, swimming, fishing, and kayaking in the summer to skiing and snowshoeing in the winter, Emily is eager for any reason to spend time outside. 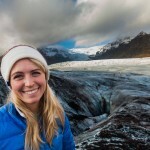 Emily now calls San Juan Island her home, but enjoys traveling the world during the winter season. 2nd Season - Erik grew up in Apex, North Carolina and went to college at the University of North Carolina at Chapel Hill studying Biology, Marine Sciences, and Spanish. He recently moved out here to Washington but has worked out here a couple times at places like Oregon State University and for the Dept. of Energy in Washington. 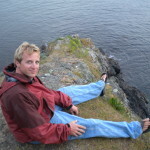 Erik loves the PNW and really enjoys any water activities from kayaking to body-surfing. His favorite tree out here is the Sitka Spruce. If the weather is too bad to be outside Erik likes doing calligraphy and cooking. Overall he loves the ocean and sharing his excitement about it! 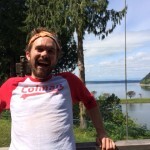 2nd Season – Gabe is originally from Goldendale, WA on the East slopes of the Cascades Mtns. along the Columbia River, but has spent the last 8 years on Maui as a naturalist and captain aboard a snorkel and whale watch boat. He enjoys all ocean activities and loves hiking. Gabe loves to camp and hunt and is a big Seahawks fan. 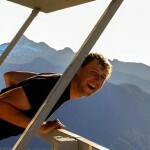 He graduated with a BS in Wildlife Ecology degree from Washington State University and spent 5 years after college working in remote areas of Eastern Washington studying mountain lions and mule deer for WDFW. Loves and dedicates his life to protecting wildlife. 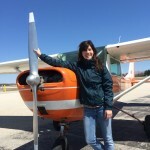 2nd Season - Jaclyn is a native cheesehead, and spends her spare time catching a bird's eye view of the dairy state in the family Cessna. Her other hobbies include shredding the ski mountains, running up the largest hills, and camping all of the Midwest. Being the descendant of an early Packer footballer, Jaclyn has a winning attitude and appreciation of a good brat. A thirst for a new adventure has brought her (and her pet kitten!) across the country to a moderate climate and open waters. She feels very fortunate to be spending her first summer on San Juan island paddling! 6th Season - Jacob grew up on the Front Range of Colorado in beautiful Fort Collins. He loves doing almost anything and everything outdoors. In addition to being a kayak guide, he has worked as a team-building facilitator, tree researcher and ski instructor for people with disabilities. 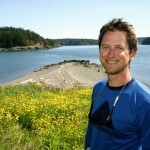 He moved to San Juan Island four years ago with his lovely wife and fluffy dog to enjoy the island life. When he is not leading trips, he can be found cooking yummy food, tinkering on bikes and boats, or remodeling his 63' Airstream trailer. 3rd Season - Jess is returning for her second season with San Juan Island Outfitters, and couldn’t be more excited. Coming back from another fun winter in her hometown of Park City, Utah Jess is stoked to be back on the water. 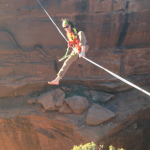 With recently completing her WEMT, background in outdoor leadership, and never ending drive for outdoor adventure, the San Juan's are Jess’s pick for summer time enjoyment. 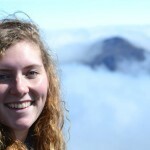 Her love for the outdoors and overall passion for adventure give Jess a never ending upbeat attitude and a genuine interest in sharing outdoor experiences with others. Bring on another fun summer of camping and kayaking! 2nd Season - Rylie grew up right here in the Evergreen State in Kennewick, WA on the banks of the Columbia River. After studying Biology and Animal Behavior at Arizona State University, the beauty and plethora of outdoor recreation available in the Pacific Northwest brought him back home. When he is not on the water he can be found jamming out to some classic country music, snowboarding, travelling the world, or just relaxing with a good book. 3rd Season - Sarah grew up in western Massachusetts with a deep affinity for the outdoors. She graduated from the University of New Hampshire with a B.S. in Wildlife and Conservation Biology and has since been on the road! In this off season Sarah has been living in Maui working as a naturalist on snorkel and whale watching boats playing with sea turtles, reef fish, manta rays, dolphins and humpback whales. Last summer Sarah fell in love with the San Juan Islands and is so excited to be returning for her second season out on the water with San Juan Outfitters. She is passionate about marine mammals, especially the killer whales found in the Salish Sea. If she's not on a boat or in the water you can usually find her hiking in the woods with her camera in tow, behind books trying to figure out whale IDs, on the coast exploring tidepools, or curled up reading in her hammock. 3rd Season - Growing up, Scott endured the hardships of northern Wisconsin but found time to play on its many rivers and lakes. He attended UW - Madison, earning a degree in economics while teaching canoe and kayak classes and directing a youth camp during the summers. He has a passion for adventure and a fondness of wildlife, although some cats don't get along with him. When not in a boat, he can be found playing soccer, frisbee, biking, snowboarding, or tickling the ivories. Think you're a geography wiz? Just try to stump this guy.